At Cavenagh Medical we pride ourselves on carefully selecting a team who are at the forefront of general practitioner medicine to meet your health needs. We are an accredited teaching practice with GP registrars. These doctors are fully qualified and are undergoing their advanced specialist GP training. Patients are encouraged to speak to the practice manager if they have any queries. Complementary to our doctors, we employ three registered nurses who assist the doctors with procedures and perform ECGs, dressings, health assessments, and immunisations. 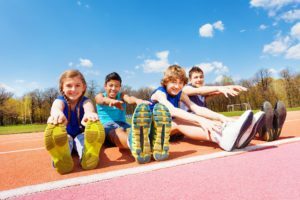 We believe in a multi-disciplinary approach and have a psychologist onsite on Thursday and an exercise physiologist on Tuesday evening and Saturday mornings. Dr Jeanine Richardson is the owner and principal General Practitioner at Cavenagh Medical Centre. After graduating from the University of Tasmania Jeanine spent 13 years practicing in rural Tasmania before making the move north to Darwin in 2002. 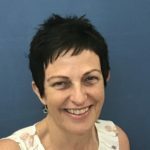 Since her arrival in the Northern Territory, Jeanine has passionately sought to improve primary care in the Darwin community by creating effective patient doctor communication and empowering patients to have their best health. 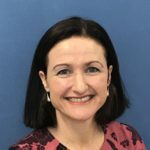 Jeanine has a wealth of experience in all areas of General Practice and has a keen passion for allergies and asthma. Jeanine obtained a Graduate Certificate in Allergic Diseases in 2018 and holds allergy clinics. Jeanine also has supplementary training in occupational medicine and skin cancer detection and surgery. Outside of work Jeanine enjoys sunset chasing, walks on the beach with her husband and dog and listening to music, learning new things every day, and riding motorbikes. Dr Bronwyn Carson is a true Territorian, having been born in the East Arnhem region. She came to medicine from a career in Public Health and research, where her focus was on the social determinants of Indigenous health. She works to deliver holistic health care that incorporates patient’s points of view. Bronwyn is also the Director of Training at NTGPE and is committed and passionate about training the next generation of General Practitioners. Bronwyn has a specific interest in skin conditions and skin cancer and regularly conducts skin checks and excisions at the Clinic. When not in the clinic Bronwyn enjoys walking on the beach, catching up with family or losing herself in a good book. Dr Pippa Wilson has resided in Darwin since 2006 seeing her complete her Medical training locally. As well as becoming a GP, Pippa also holds a Diploma in Child Health, Family Planning and Sexual Health. Pippa has developed her experience through a series of roles in mainstream GP practice, Aboriginal Health and women’s health. 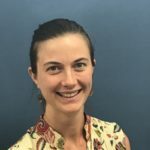 Pippa enjoys the variety of General Practice, including preventative medicine, chronic disease management (diabetes, heart and kidney health) and mental health. Pippa enjoys her time away from the clinic with her family and friends, and a walk on the beach with her dog Billie is a much-loved activity. 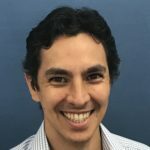 Before moving to Darwin Dr Michael Tong trained and worked in Newcastle and the Hunter-New England region of New South Wales. Michael moved to Darwin in 2014 with his wife and has been working at Cavenagh Medical Centre since 2015. Michael is skilled in all areas of General Practice and has a passion for Travel Medicine. In 2017 Michael travelled to the UK to undertake a Diploma in Tropical Medicine and Hygiene at the Liverpool School of Tropical Medicine. Michael is a member of the International Society of Travel Medicine and completed the Society’s Certificate in Travel Medicine in 2017. Outside work Michael enjoys rugby, being involved in his church and playing with his young son. Dr Maya Eamus grew up in Darwin and travelled to Sydney to study, graduating with a Bachelor of Medicine and Bachelor of Surgery from the University of New South Wales. 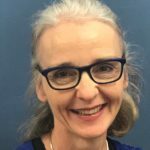 She was ACRRM Registrar of the Year in 2016 and has also completed a Diploma in Child Health. Prior to moving back to Darwin Maya worked in the small NSW town of Gundagai. There she worked in General Practice and in the local hospital caring for the in-patients and those presenting to the emergency department. Maya loves all areas of General Practice and is particularly interested in Women’s Health, Child Health and Emergency Medicine. In her rare spare time, Maya enjoys spending time with her young family, horse riding and walking her dogs on the beach. 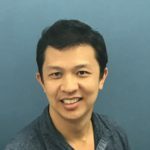 Dr Tran graduated from the University of WA and carried out his early medical training in a range of settings, including rural, outer urban and inner-city areas of Western Australia. He comes from a family of teachers and he himself is passionate about education, including the teaching of doctors who are currently undertaking training to become Consultant General Practitioners. Dr Tran is experienced in all areas of family medicine, particularly infant and child health and development. He has particular interests in men’s health, sports injuries, skin conditions and complex medical problems. Dr Tran is a youth friendly doctor and likes to care for adolescents and other young people. When he is not at work he loves spending time with his wife and two children. He also enjoys playing a game of tennis or soccer and cycling around Darwin. Dr Anne Kleinitz graduated from Medicine at Monash University. Practitioners (RACGP). Anne was awarded the Monty Kent-Hughes Medal for receiving the highest score nationally in her RACGP clinical exams. 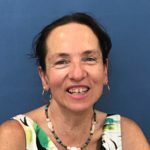 Anne has worked at the Royal Childrens Hospital in Melbourne and has a Diploma in Obstetrics and Gynaecology, a Masters in Public Health and Tropical Medicine and Post Graduate Certificate of Disaster and Refugee Health. Anne provides antenatal shared care, accredited with the Royal Darwin Hospital. She has worked extensively throughout the Northern Territory, the Kimberley and has participated in two humanitarian missions with Medecins Sans Frontiers (Doctors without Borders) in Sudan and Ethiopia. Anne is committed to delivering excellent healthcare to patients of all ages and health conditions. Dr Shivon Jain graduated with a Bachelor of Medicine and Bachelor of Surgery in Queensland. After graduating she undertook her internship and residency at the Gold Coast Hospital and Royal Brisbane Women’s and Children’s Hospital. Shivon completed rotations in surgery, emergency medicine, paediatrics, anaesthetics, psychiatry, gastroenterology, cardiology and endocrinology. 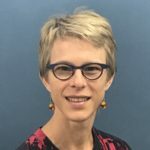 She chose to return to Darwin where she grew up to commence her general practice training and subsequently obtained her Fellowship with the Royal Australian College of General Practitioners. 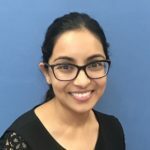 Apart from working as a GP, Shivon has an interest in teaching and also works part time as a Medical Educator with Northern Territory General Practice Education. Her work involves training doctors specialising to become GP’s. Outside of medicine, Shivon loves to travel, go to the beach and spend time with friends and family. Helen is a passionate psychologist with more than 25 years of experience. She obtained extensive education in Sydney, including a Bachelor Degree and Masters Degree of Arts, Psychology, a Diploma in Individual Psychotherapy and Relationship Counselling, Psychology, a Diploma in Sexual Health Counselling, Psychology and a Certificate in Somatic Psychotherapy obtained, as well as a Certificate in Radix Body Centre Psychotherapy obtained in Melbourne. 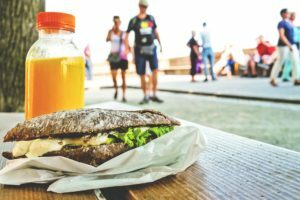 Helen’s particular interests lie in the treatment of depression, grief and loss, anxiety, eating disorders, relationship issues, sexual difficulties, parenting issues, workplace stress, alcohol and/or other drug issues. Helen loves to watch the amazing Darwin sunsets, enjoys walking on the beach, taking a bike around Darwin and watching movies particularly at the DeckChair Cinema.